A proven process that delivers predictable results, everytime. RENCO understands that money spent on your home is an important investment. We provide only the best workmanship, design assistance, and choice of materials for your unique project and needs. More importantly, we understand and value the relationship that we build with each client. From the smallest repair, to the most involved design and build projects, the RENCO process ensures that your job will be done in a timely, cost efficient manner. More importantly, following this process ensures your complete satisfaction and peace of mind. 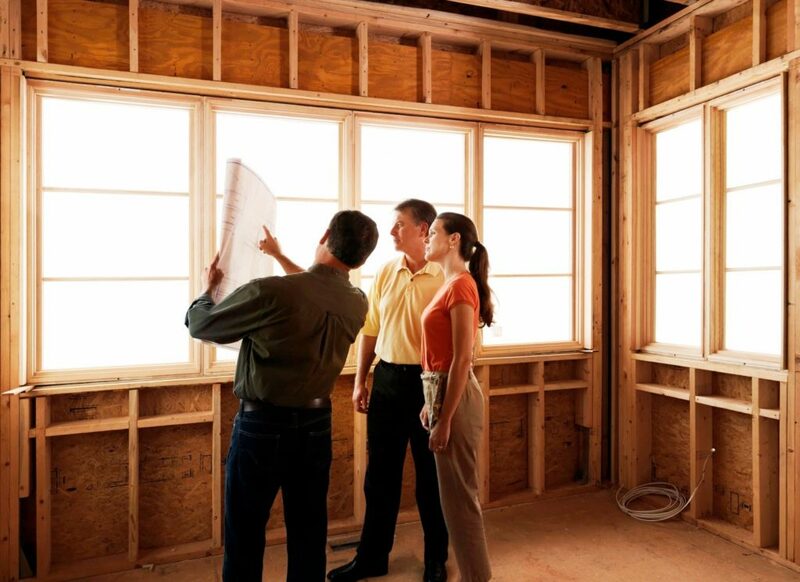 Each project starts with an in person consultation to understand your goals, timelines and budget. Terry will come to the site and spend as much time as needed to go over every aspect of what is required. He will take into consideration every idea and concern that you have, including design, budget and scheduling. Terry will thoroughly inspect damage to assess the severity of the problem, causes, and work required for the repair. Terry will meet you on site and listen to your ideas, wants and needs. We work with your designer(s), provide our own expert designers, or use a combination of both: whatever is best for your project and in keeping with your vision. We can use materials provided by you, assist with material selection, or work with a combination of both. With the many choices now available, we walk through selection with you to ensure that all materials, finishes, paint, appliances, lighting, accessories and everything else that is required works together in the space to meet functional, safety, budget and aesthetic needs. We provide one or more proposals for work to be done. We value your feedback and work further with you to arrive at a plan that works for you and fits your budget. Terry will provide you with a detailed, easy to follow quote for work and labour. He will go over each item with you and address all questions and concerns. The contract will include only what was agreed upon after Terry ‘s meeting with you to review the Quote for work and services. Sometimes it isn’t until the work has begun that issues surface that need to be addressed as part of the current planned project, for example: pre-existing conditions due the age of the home such as out-of-date wiring or problems with internal structures. Finding a previously unknown issue once work is started is not ideal, but it does occasionally happen. At any time during the project, should anything come to light that will require additional work to be done, or, a change of plans, Terry will advise you immediately, and present alternate and cost-effective solutions where required. An addendum will be written to the existing contract, clearly detailing changes, costs, and time frames. No additional work or changes will be included for the project until you have reviewed and approved the contract addendum. Once the project is done, there will be no hidden or unexpected costs. RENCO Home Improvements takes care of everything. Work will not be held up due to poor workmanship or incorrect or missing permits. We make sure that all is in place, and we build and assign a team of expert tradesmen, specialists and designers best suited to making your project a success. The job is not done, nor the final payment made, until you have walked through the finished project with Terry, and he is certain that you are fully satisfied with the work performed and services rendered.